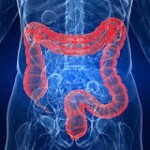 A new study has identified the gut immune system as a new and effective target in treating a chronic disease. The research study conducted by the Diabetes Research Group in the Toronoto Research Institute was published by the Cell Metabolism journal and used a mouse model and humans to investigate the immune impact of gut bacteria. “These results are novel and important because we have identified the immune system that lives in the gut as a new player in the control of blood sugar. This opens up the entire field of bowel immunology to the study of obesity and its complications such as high blood sugar,” said Dan Winer. Mice fed a high fat high calorie diet had large amounts of pro-inflammatory immune cells and less of the regulating cells which help end an immune response, than in normal mice. The researchers found this same result in 14 humans, seven of whom were obese. The high-fat diet induces inflammatory changes in the immune cells in the bowel, upsetting the immune balance, which in turn sets off a chemical cascade, damaging the bowel wall, allowing bacterial products to leak into the blood stream. This leakage is what contributes to insulin resistance, when the cells can no longer respond to and use insulin effectively to stabilize blood sugar.